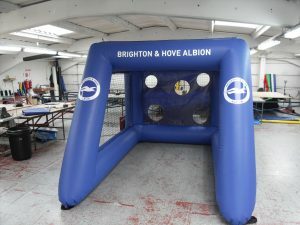 We’ve recently delivered fantastic football inflatables to three big British Clubs namely; Swansea City, Brighton and Hove Albion and Middlesbrough. The very highest quality of manufacture and attention to detail. A visually stunning output promoting the brand to the best possible standards. Trustworthy, efficient and friendly customer service. 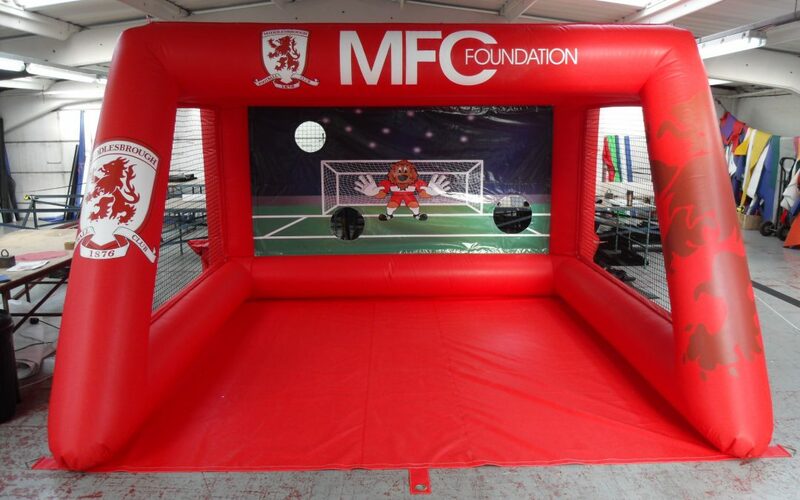 Our impressive customer list now includes half of the current Premiership with football inflatables sold to : Arsenal, Brighton, Burnley, Chelsea, Manchester City, Manchester United, Newcastle, Stoke, Swansea and Watford. In additon many of the clubs in the leagues below have also purchased games from us. We have also built games for great brands such as Continental Tyres and Coca Cola. Got a shot as powerful as Yaya's?